Swetnick, 55, became the third woman in recent weeks to raise allegations against Kavanaugh. She issued a statement Wednesday in which she claimed she’d observed Kavanaugh at alcohol-fueled parties where women were mistreated. Her attorney is Michael Avenatti, a fierce critic of President Donald Trump who is reportedly considering a presidential run in 2020. Avenatti also represents Stormy Daniels, an adult film actress who claims to have had an affair with Trump before he took office. Swetnick worked at Portland-based Webtrends for a few months in 2000, according to a civil suit the Portland company filed against her late that year. The company said she was hired as a professional services engineer to work off-site. It’s not clear whether she ever worked in Webtrends’ Portland office. Webtrends still operates in Portland, where its technology helps clients measure and analyze traffic on their websites. The company declined comment on the suit this week. 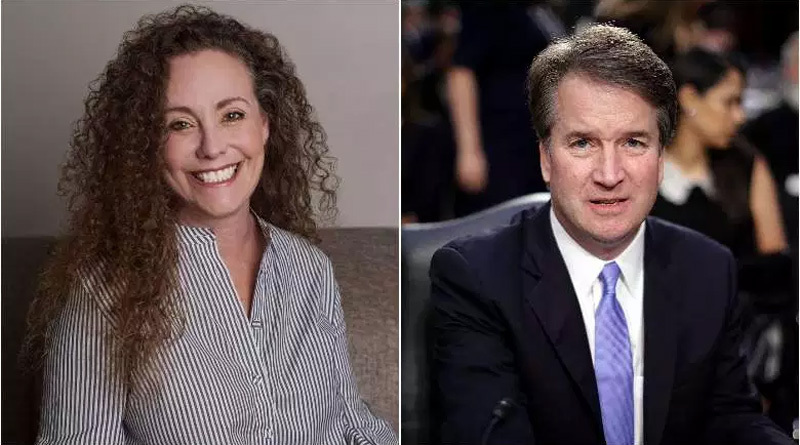 While Swetnick issued a sworn affidavit this week attesting to the truth of her allegations against Kavanaugh, news organizations have said they could not corroborate any of her claims. A former boyfriend once filed a restraining order against her. The allegations from Swetnick are separate from, and apparently unconnected to, allegations Christine Blasey Ford made against Kavanaugh related to a period when she and the judge were in high school. Ford testified about her own allegations before a U.S. Senate committee Thursday. Ford, now a professor in California, was the first to go public Sept. 16. In the early 1980s, she told The Washington Post, a drunken Kavanaugh pinned her to a bed during a party and put his hand over her mouth to stifle her screams as he tried to take off her clothes. Then Deborah Ramirez told The New Yorker, in a report published Sunday, that Kavanaugh exposed himself to her during a drunken dorm party 35 years ago at Yale.